ACCRA, Ghana – Merck Foundation, the philanthropic arm of Merck KGaA Germany in partnership with H.E. 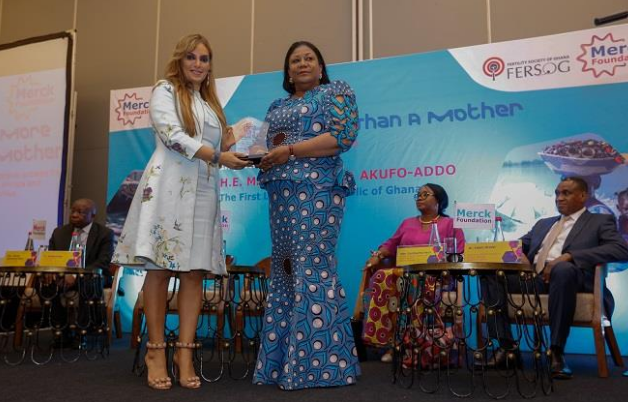 REBECCA NAA OKAIKOR AKUFO-ADDO, The First Lady of Ghana and Ambassador of Merck More Than a Mother announces the opening of the application period for the ‘Merck More Than a Mother’ Media recognition Awards 2018 for Ghana and the rest of Africa. The winners will be announced during the 6th edition of Merck Africa Asia Luminary which will be conducted in October 2019 in Accra Ghana, co-chaired by Dr. Rasha Kelej, CEO of Merck Foundation and Her Excellency First Lady of Ghana. The First Award from the Online Media Segment was given to Ms. Molatelo Mainetje, News and Current Affair Producer and Documentary Filmmaker from South Africa for her short film called ‘Womb-Man’.